Researchers at the Laboratory of Tumor Immunology and Biology at the National Cancer Institute have found that treatment for metastatic breast cancer and ovarian cancers in women with a recombinant pox viral vaccine showed positive response. Metastatic breast cancer is a stage of breast cancer where the disease has spread to distant metastases. It is a complication of primary breast cancer, usually occurring several years after resection of the primary breast cancer. 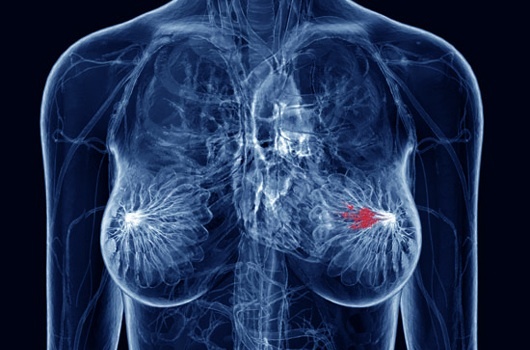 Metastatic breast cancer cells frequently differ from the preceding primary breast cancer in properties such as receptor status, have often developed resistance to several lines of previous treatment and acquired special properties that permit them metastasize to distant sites, making them especially dangerous. The prognosis is often poor. Most (more than 90%) ovarian cancers are classified as “epithelial” and are believed to arise from the surface (epithelium) of the ovary. However, some evidence suggests that the fallopian tube could also be the source of some ovarian cancers. Since the ovaries and tubes are closely related to each other, it is thought that these fallopian cancer cells can mimic ovarian cancer. According to a trial published in Clinical Cancer Research, a journal of the American Association for Cancer Research, the clinical trials group at the Laboratory of Tumor Immunology and Biology at the National Cancer Institute have found that treatment with a recombinant pox viral vaccine showed a positive response in both metastatic breast cancer and ovarian cancer. James Gulley, M.D., Ph.D., director and deputy chief of the clinical trials group and colleagues enrolled 26 patients and assigned them to monthly vaccinations with the PANVAC vaccine, which contains transgenes for MUC-1, CEA and three T cell costimulatory molecules. These patients were already heavily pretreated, 21 of them receiving at least three prior chemotherapy treatments. Among the 12 patients with breast cancer, median time to progression was 2.5 months and median overall survival was 13.7 months. Four patients had stable disease. For the 14 patients with ovarian cancer, median time to progression was two months and median overall survival was 15 months. The development of vaccine for metastatic breast cancer and ovarian cancer would be relief for cancer patients, especially if it can eliminate or at the least reduce the chemotherapy sessions. Hopefully a bigger clinical trial continue to show promise for cancer patients.